Beyonce's baby shower was quite exquisite and pictures from the party are now viral. 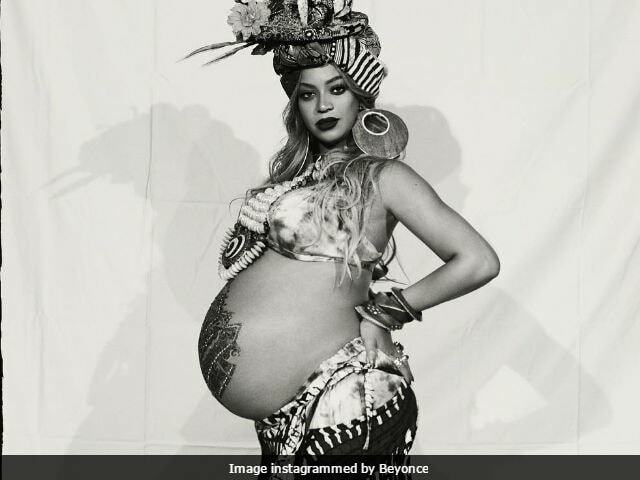 Beyonce opted for an African theme baby shower and nailed it. The 35-year-old singer wore a tribal skirt and bralette top and completed her look with a traditional dhuku. She tattooed her baby bump with henna and looked absolutely gorgeous. Beyonce's husband, musician Jay Z, complemented her look. The couple got married in 2008 and together they have a five-year-old daughter Blue Ivy. Beyonce and Jay Z are expecting twins. Beyonce shared a few pics from the photoshoot signed, 'The Carter Push Party.' Here are pictures from Beyonce's baby shower to make your Monday a little happy and bright. Beyonce's baby shower was hosted in a private residence in Beverly Hills on May 20 and the guests list was limited to close friends and family members, reported E!. Serena Williams, La La Anthony, Vanessa Bayer and stars Lorraine Schwartz were some of the guests at the party. There was also a Destiny's Child reunion as Kelly Rowland and Michelle Williams also attended the do. An insider told E!, "The decor was African themed and very colorful with lounge seating areas, floor pillows and rugs on the floor. "The tables had lanterns, wooden elephants and pink and white roses for centerpieces. There was also a henna tattoo artist and African dancers and drummers walking around. A huge soul food buffet was served for a late lunch." Beyonce's mother Tina Knowles also shared some videos and pictures from the baby shower. In February, Beyonce's underwater photoshoot with her baby bump went viral. The photoshoot shared on her official site was titled, "I Have Three Hearts." 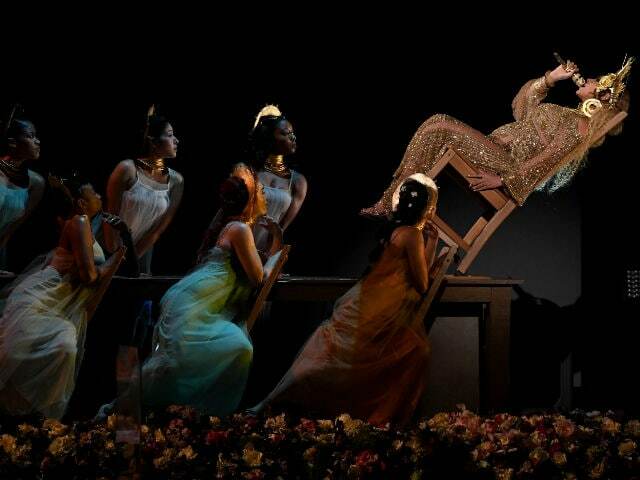 Few weeks after the photoshoot, Beyonce gave a spectacular performance at the Grammys. Remember her gravity-defying stunt? Here's a pic from the performance. Beyonce's last album Lemonade released last year.